The members of the EaP CSF Moldovan National Platform and Civic Coalition for Free and Fair Elections are deeply concerned about the judgments issued by the Chisinau City Court on June 19, 2018 and the Chisinau Court of Appeal on 21 June, invalidating the local elections of the Chisinau mayor of 20 May and 3 June. They believe that the reasoning of the decisions of the Chisinau Court and the Court of Appeal are deficient, inconclusive and undermine citizens’ confidence in the independence and professionalism of the judiciary. A punishment not envisaged by the legislation was applied and more than 240,000 voters who participated in the elections were sanctioned. The issued judgments are unconvincing in their reasoning. The judgments have an unclear and destabilizing impact. No candidate challenged the results of the local elections in the Chisinau municipality. The judiciary continues the practice of selective justice. There have been delays and lack of transparency in the case examination. Such judgements de facto constitute the violation of the freedom of expression, by prohibiting the public call to participate in the elections on the Election Day. There are negative consequences of the elections invalidation. The voters’ are protestingagainst the court decisions. In the context of the above, on June 22 the signatory organisations called on the courts to apply in good faith the legal provisions and repeal the judgments issued by the Chisinau Court on 19 June and the Chisinau Court of Appeal on 21 June, which did not validate the local elections of Chisinau mayor on 20 May and 3 June. 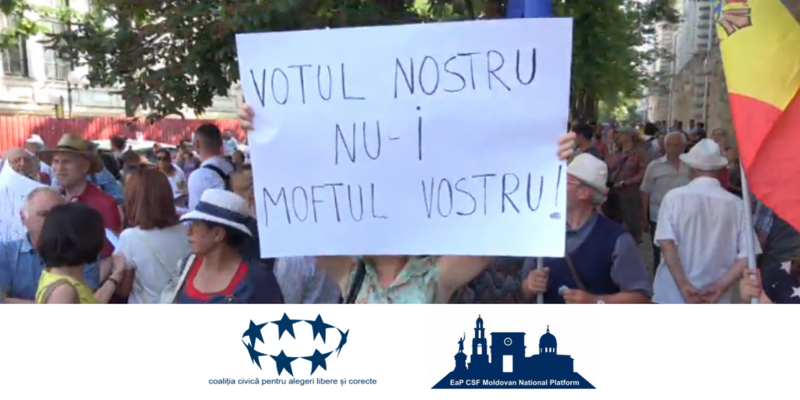 The signatory organisations reiterated their support for the rule of law and the supremacy of the popular vote and call on all actors involved in the process to show political maturity and respect for democratic values in another statement on June 25.